The game of cricket is funny in its own ways. While a boundary eases things out for a batsman, the necessity of it increases the pressure. To gain success, especially in limited overs cricket, a batsman must know how to maintain a balance between boundaries, and the singles and twos. 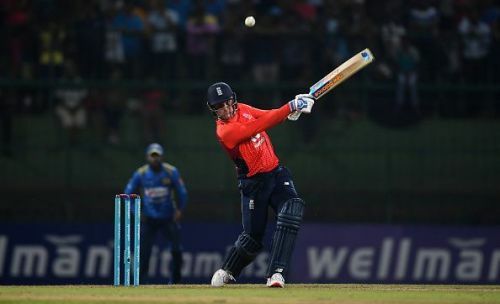 In the 128 One-Day International matches played between 18 teams, a total of 4855 fours and 1117 sixes. The batsmen from England lead both the charts with 579 fours and 135 sixes. While West Indies are on second on the sixes list with 131 to their, India are second on fours list with 464 fours. 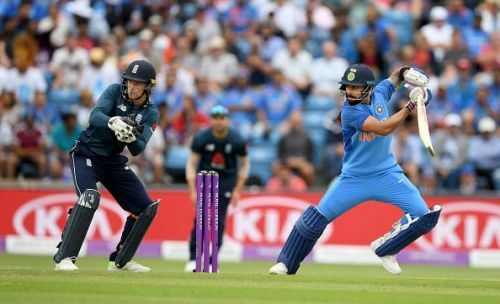 The reason why England and India, the top two sides in ODI cricket, are at the top of even these lists is the ability of their batsmen to hit boundaries more often than the rest. In this article, we take a look at the 5 batsmen who have scored most of their runs in terms of boundaries to help their teams put pressure on the opposition. Jason Roy started the year of 2018 in a terrific fashion. In his very first match of the year, he scored 180 runs off just 151 balls to help England chased down Australia's total of 304 with ease. Roy then went onto score two more hundreds, also against Australia, later in the year. In the year 2018. Roy scored a total of 894 runs of which 518 runs (98 fours and 21 sixes) came from boundaries. In the 22 innings that he opened the innings for England this year, he scored runs at an average of 40.63 at a strike of 105.05. He is one of the key players for the World No.1 ODI side and England will hope that the Surrey-batsman will continue the same form in the 2019 World Cup. Matches: 22, Runs: 894, SR: 105.05, HS: 180, 4s: 98, 6s: 21.